‘Silver Posie’ will add a sweet touch to the mixed container or cottage garden with its white edged gray-green leaves and tiny lavender-pink flowers in late spring and early summer. 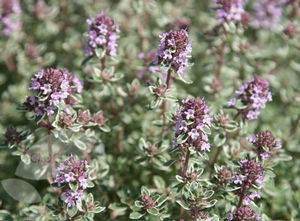 Fragrant foliage is bushy to a height of 10-12” and is evergreen in warmer climates. Cool weather brings a hint of burgundy to the leaves.